The origins of the World Series of Poker can be traced back to the format that every poker tournament in the history of the planet has been decided by — a heads-up poker match. This was not your normal poker match, though; in terms of stamina and length, it would put to shame even the gold standard of WSOP history, the eight-hour match that transpired between the late Chip Reese and Andy Bloch in the inaugural $50,000 H.O.R.S.E. championship. This match took place between the legendary gambler Nick “The Greek” Dandalos and the legendary poker player Johnny Moss. 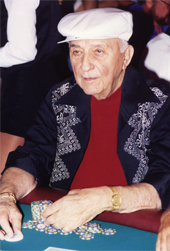 Shortly after Benny Binion opened the Horseshoe Casino in Downtown Las Vegas, Dandalos told him that he would like to play for the highest stakes in poker history. The promotional side of Binion (this was the same man that set up a glass horseshoe case with $1 million in cash inside at the door of his casino) loved the idea, so he set up a table at the very front of the casino and the two players took their seats in January of 1951. For the next five months, the two players were nearly inseparable from the heads-up action. Millions of dollars changed hands over games of five-card stud, deuce-to-seven lowball, high draw poker, and other variants. The crowds were captivated by the prolonged odyssey of gambling that took place between the charming personality of Dandalos and “The Grand Old Man of Poker” Moss. The most infamous hand from this match was a pot rumored to be worth half-a-million dollars. Dandalos called down a bluff from Moss with a jack in the hole, which was enough to take down the largest documented pot in history at the time. Although Dandalos won the largest hand of the match, Moss continued to wear down the gamble of the “The Greek” with his superior poker skills. When May rolled around, Dandalos was worn down, and he decided it was time for the epic match to end. “Mr. Moss, I have to let you go,” were the famous last words of Dandalos as he left the table. Moss had relieved him of $2 million-$3 million during the game, while Binion most likely made that much, if not more, thanks to the extra business his casino saw during the five months. It was a lesson he would not forget. 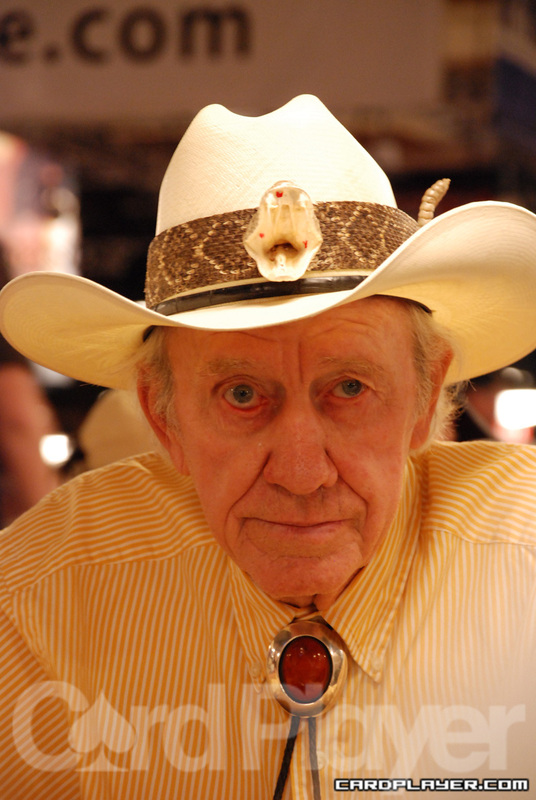 Almost two decades later, the next step toward the first WSOP was taken when Binion accepted an invitation to attend the Texas Gamblers Reunion at the Holiday Casino in Reno with his two sons, Jack and Ted. The event was, in effect, a publicity stunt put on by the owner of the casino, Tom Moore, and Vic Vickrey, an inspired casino insider, to drum up business at the casino during a slow stretch of the year. Fifty or so high rollers, casino owners, and VIPs, as well as high-stakes poker players, converged on the Holiday Casino and played in a number of high-stakes poker games. 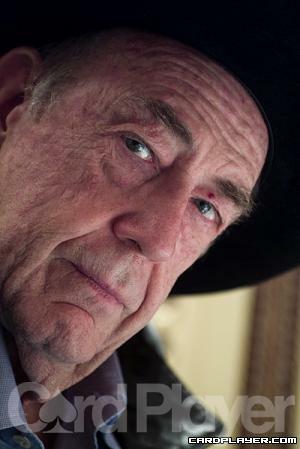 Among the players in attendance were Moss, Thomas Austin “Amarillo Slim” Preston, Doyle Brunson, Brian “Sailor” Roberts, and Jack “Treetop” Straus. The competition frequently changed between different games, including five-card stud, seven- card stud, ace-to-five and deuce-to-seven lowball, and, by far the most popular variant, no-limit Texas hold’em. The event lasted for a solid week before players returned to their different parts of the country, but not before a vote was taken to name the best overall player. Moss claimed the honor, and he was awarded a silver cup as a trophy. Inspired by his time in Reno the previous year, Binion jumped at the opportunity to host the event the next year when Moore decided not to host it again in Reno. Jimmy “The Greek” Snyder got involved on the promotion side of things, and Binion sent out invitations to the top poker players in the world to attend a poker tournament in May 1970. The World Series of Poker was born.